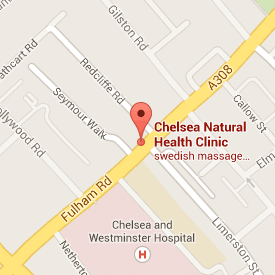 Zofia Fenrych LLSCH, Classical Homeopath & Hypnobirthing Practitioner in Chelsea at Chelsea Natural Health Clinic, Fulham Rd, SW10. 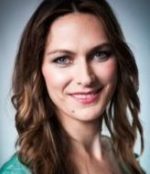 Zofia Fenrych is a homeopath and a certified HypnoBirthing practitioner. She studied Homeopathy at the SHI Homoeopathie Schule in Switzerland with Dr Jus (direct “disciple” of Samuel Hahnemann – student of B.K.Bose,who was a student of Kent, who was the student of Samuel Hahnemann, the founder of homeopathy). She completed her education at the London School of Classical Homeopathy in 2008. In the years since she has successfully pursued the homeopathic career and passionately helped many people with her expertise. She has treated a wide range of conditions from acute ones, such as colds and flu, to chronic ones such as migraines, neuralgias, allergies, depression, ADHD in kids, etc. ; she also has experience supporting cancer patients.She also works a consultant at the Ainsworths Pharmacy in Marylebone. Zofia is passionate about supporting women and families in pregnancy and birth. She trained to be a teacher of the Marie Mongan HypnoBirthing Method – a relaxation technique to enable gentle and conscious birth. In recent years she has acted as a mentor for the UN-created Global Prenatal Initiative to further work on increasing the awareness of the importance of a child’s time in the womb and their welcome to the world. Chronic ailments such as migraines, allergies, eczema and other skin problems, menstrual pains, menopausal symptoms, back pains, arthritis, etc. Palliative treatment of terminal diseases. Care during pregnancy and labour. Emotional issues such as depression, anxiety, insomnia, ADHD, etc. You will be asked a set of questions concerning your condition and your symptoms. Homeopathy is a holistic discipline, so the treatment is individualised and focused heavily on the patient’s particular dispositions and idiosyncrasies. Acute conditions such as colds, flu, injuries, infections,etc. You will be asked questions in order to identify the best remedy for immediate help and discuss further treatment options. Marie Mongan Method is as much a philosophy as it is a technique- it is based on the conviction that birth is a natural part of our life and that every woman and her child deserve to have the most beautiful birthing experience. HypnoBirthing Classes are taught in a format of five, 2.5 hour classes. During this time you will learn about the physiology and history of birth and the myths about birthing will be dispelled. You will be taught a set of relaxations, visualisations and breathing techniques to help you prepare for the important day. The birthing mothers and their birthing partner receive all the training and materials they need for an easier and gentler birth. Taking HypnoBirthing classes between 20-35 weeks pregnant is strongly encouraged for the most optimal birthing experience, but you can come at any time of the pregnancy. Group and individual courses are available. Zofia can help you in English, Polish, German and French. Email Zofia or call 0793 486 1990.